No weights. No machines. No problems. 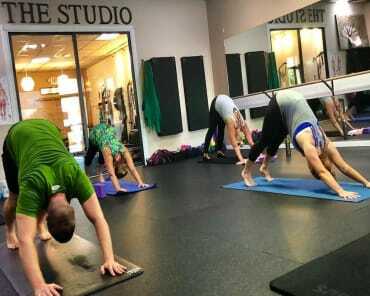 Our TRX Training at BodyByBarre is offering you access to the next generation of bodyweight training with an exciting class that can help you build total-body strength in no time. Whether you're an established athlete looking to get more out of your workouts or you're just getting back into Fitness, these TRX Training classes in Venice will make your goals a reality in no time. How Do These TRX Training Classes Work? You're probably thinking there are only a few things you can do with two suspension handles. It probably gets pretty boring, right? Our TRX Training in Venice is high-energy fun that is constantly challenging and changing week to week to keep you on your toes. We'll help you push through the dreaded plateau and enjoy long-lasting results that you can be proud of. Ready To Get Started? 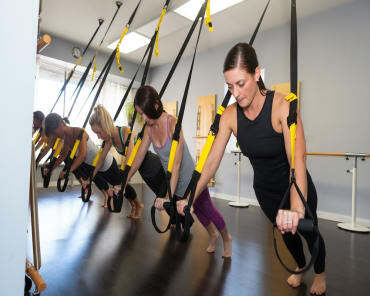 Sign Up Today For Our TRX Training In Venice Beach! Are you ready for a smarter fitness training program? We've got the answer. At BodyByBarre, you can take on a low-impact workout that relies solely on your bodyweight to produce unbelievable results. Learn more or sign up for our TRX Training in Venice today by filling out the short form on your screen.